Ep. 11: Bindu Mathai – Creating Your Path With A Makeup Brush | Aimee J. What happens when your dreams begin to come into conflict with family and cultural norms? How should you think about them? How should you go about achieving them? 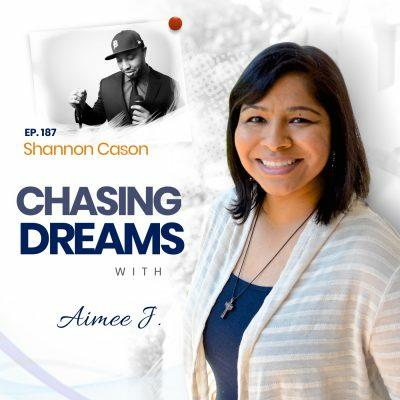 In this episode of Chasing Dreams, with Aimee J., we’ll hear from Bindu Mathai, a makeup artist and business owner who has gone through those exact issues and come out on the other side with joy, success, and peace in her heart about the way she got to where she is. This is a delightful and inspiring conversation for any Dream Chaser, with lots of nuggets for you to take from it. Be sure to take some time to listen. A degree in psychology, a part time job, and an unexpected career path. Bindu Mathai had finished up her Bachelor’s degree in psychology and began searching for the right school to complete her Master’s level work when she took on a job at a large chain department store. It was there that she became skilled at assessing the appropriate makeup colors for the customers who came into the store. Years later she became a manager at Sephora. Her latent love for makeup and color surfaced and she found herself drawn in a direction she certainly didn’t expect. To make a change she’d have to make a 180 degree turn. Was it worth it? In this episode you can hear the details of Bindu’s story, the decision she made at that critical juncture, and how she’s grown her business to what it is today. When people don’t understand your dream, what do you do? Becoming a professional makeup artist was not something familiar to Bindu Mathai’s family or culture, so when she decided to change from a future in psychology to becoming a makeup artist there was much confusion. Some people simply didn’t understand what it was she wanted to do. Others were in outright opposition to her decision. Still others didn’t quite get it but were supportive of her in the pursuit of what she felt she should do. How did Bindu get through that painful, difficult season? You’ll have to hear it in her own words by listening to this episode. When Bindu Mathai first began her pursuit of establishing her business as a makeup artist, she knew very little about how to set up an online presence, social media, or business practices. She didn’t have a true mentor who she could go to for advice, so she began researching and learning on her own. There were many people on the internet who provided business and entrepreneurial advice freely and she soaked up as much as she could. She feels that there is no excuse for not getting started because the low cost or free resources that exist in our day are plentiful. 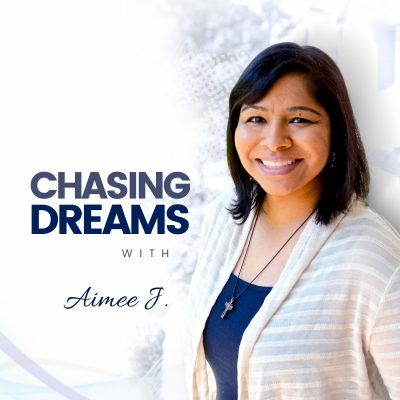 You can hear the entire story of how Bindu established her online presence and how it’s fueling her business now in this episode of Chasing Dreams. In the end, there’s no substitute for work. You can learn all you want about social media, website development, and brand promotion and marketing, but if you’re not doing the work to show that you are indeed an expert or master in your chosen field, all those tactics will get you nothing. It takes work to hone your craft and become a true expert. 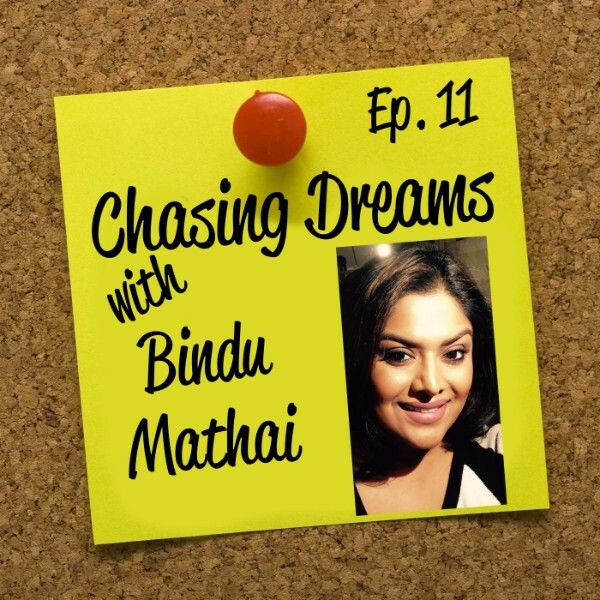 Bindu Mathai’s story on this episode of Chasing Dreams is a great example of how that hard work pays off. If you’re struggling to know what to do to establish your presence as an expert in your field, listen to Bindu’s advice. She’s got lots of wisdom to share on this episode. [0:49] Introduction of today’s guest, Bindu Mathai, Makeup Artist. [1:49] What got Bindu into makeup in the first place? [3:49] A degree in psychology and a part time job that turned her career path. [5:12] The decision to change direction: How did it happen? [7:28] The mixed reactions Bindu received as she made the switch of careers. [9:55] Facing the discouragement and standing strong in spite of it. [11:15] Being willing to go it on your own at first. [12:07] Learning to be self taught, finding resources, educating yourself. [14:20] Becoming a teacher after educating herself: the benefits and value. [16:35] How long did it take before Bindu was confident her efforts would pay off? [17:28] Why there is no substitute for work. [18:35] What would you change if you could go back and do it all again, Bindu? [21:42] What was the catalyst for starting her own business? [25:00] Why Bindu chose the name “Bindu Inspired” for her business. [26:15] The Rapid Fire game. [29:15] One thing Bindu would recommend to a Dream Chaser. [31:32] Aimee J.’s summary of the episode and invitation to you. Rapid fire is where Aimee J. and her guest exchange rapid fire answers to a category and the first to unduly hesitate, give a wrong answer, or stop is the loser! Nobody will make a change in your life except you.